PVC, CPVC, and PEX are different kinds of plastic pipes used as materials for the waste and drinking systems of buildings. PVC stands for polyvinyl chloride; CPVC stands for chlorinated polyvinyl chloride; and PEX stands for cross-link polyethylene. Although these materials are all thermoplastics, meaning they become liquids at very high temperatures and glassy at very low temperatures, they have slightly different properties, manufacturing processes and uses. PVC, CPVC, and PEX have different though overlapping characteristics. PVC is a durable and rigid plastic that can be softened in order to form bends and curves. CPVC is formed from a resin of PVC that has undergone a chlorination process. It has similar properties to PVC and has higher heat resistance. It has slightly higher tensile strength than PVC, but it is slightly less hard. PEX has very high chemical, electrical and temperature resistance, enduring temperatures up to 150 Celsius and Voltages up to 50 kiloVolts. 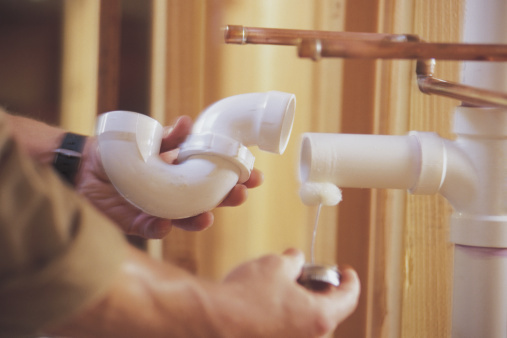 The advantage of using PVC in plumbing systems, both for drinking water and waste, is that it is cheap, manufactured widely and readily available, easy to put together and manipulate into different shapes. CPVC has all these advantages; but it better reduces scaling, which is the build up of calcium carbonate, and is therefore better for long-distance drinking water applications. PEX pipe is better to use as an electrical and radiant heat insulator in extreme conditions because it resists both better than PVC and CPVC, though PVC is used in combination with a plasticization process to insulate wires. One important reason PEX is not used as often in the same applications as PVC and CPVC is that it requires more tools to install, including crimpers and presses. 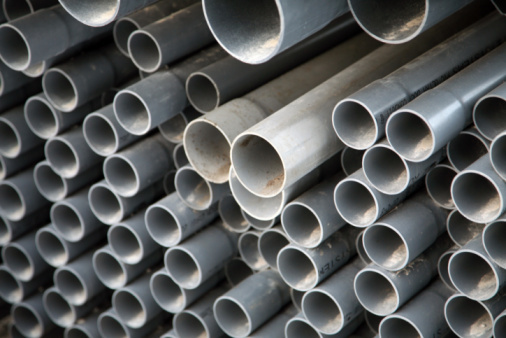 PVC and CPVC installation involves cutters to cut the pipe into different lengths and different kinds of adhesives and fittings to connect together. However, PEX fits better to metal applications than PVC and CPVC; in a copper-to-plastic connection, PEX would be more reliable to resist corrosion. There are three kinds of PVC--PVC, PVC-C, and PVC-U--and three kinds of PEX--PEX a, PEX b and PEX c. PVC-C resists temperatures up to 90 degrees Celsius. PVC-U is unplasticized PVC. It's used in window applications and is very hard compared to PVC. The different PEX products are classified by their production methods. PEX a is considered the most durable because it has the most uniform molecular structure.